The day when women will come out at all times in the day and live fulfilling lives free of sexual harassment is the dream we all cherish as a community of fighters for gender justice and equality. Patriarchy is a structural form of oppression and violence. Being structural rather than specific, it establishes itself through norms. We are all familiar with such norms. They impact how we dress, how we talk, and how we perform gender roles. Such norms extend themselves to institutions, habits and rules. We are told that for those of us who identify as women, we must follow additionally oppressive rules. For students of all genders, patriarchy is all the more oppressive. When one section of students has rights and freedoms others are denied, it impacts the way we perceive ourselves and the way we perceive our colleagues of other genders, impairing and hindering our relationships, friendships, and our personal and academic development. The constant prevalence and high probability of sexual violence makes it prudent for women’s hostel authorities to imprison us at ‘curfew time’. An illogical dress code constrains us and gets in the way of self expression. When we are confronted with one of the several grades of sexual violence, we are forced to feel guilty because supposedly, we have broken the oppressive rules ostensibly designed to keep us safe. Therefore, it is no wonder that the struggle for gender justice now occupies a prominent space within the struggle for student rights and freedoms. At Benares Hindu University (BHU), women students blocked the gates and demanded inquiries into incidents of sexual harassment. In doing so, they identified the myriad processes of gender discrimination and challenged the normalization of everyday patriarchal violence through an extraordinary movement. Though the Vice Chancellor has resorted to making sexist statements one after the other and the administration has locked women students out of their hostels, the latter have travelled to Delhi and nationalized their protest. Amongst the authors of this article, Sonam Goyal has previously travelled to BHU and spent her time talking with fellow students. At the time of Sonam’s visit in 2014, BHU maintained an unfriendly attitude towards women which was particularly evident in the uncomfortable stares and catcalls while walking past the boys’ hostels. 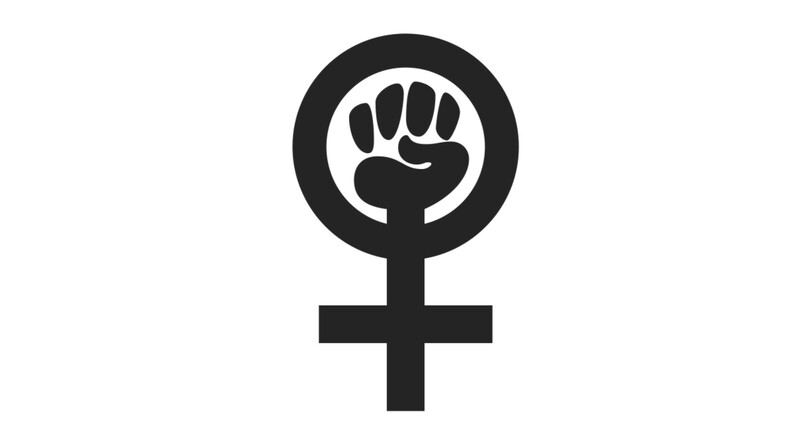 The recent movement led by women, upholding the rights of women as equal members of the University, and advocating a number of student rights including the right to unionize, has challenged patriarchal norms and redefined BHU. Meanwhile, at Jadavpur University, the spirit of the hokkolorrob movement in Kolkata continues to inspire the struggle to set up independent, autonomous gender sensitizing bodies to inquire into cases of sexual harassment and recommend redressal. The Pinjra Tod movement and similar movements at Delhi University challenge the discriminatory curfews in women’s hostels and assert the rights of women students as equal members of the university. In the face of Right Wing onslaught attempting to enshrine women as goddesses in temples and prison-workers in homes, such assertions for gender just and equal campus spaces by students who know their stakes but persist nonetheless, are truly revolutionary. The case of Jawaharlal Nehru University (JNU) is unique in that it upholds free movement to all members of the University across the gender continuum. There are no enforced curfews in any hostel and all students can access campus spaces freely at all times. We attribute the uniqueness of JNU to the struggle for the Gender Sensitisation Committee Against Sexual Harassment (GSCASH) which culminated in 1999 in an autonomous, independent GSCASH. The GSCASH was put in place following the Visakha Guidelines and became a vibrant and active body with participation by all members of the community including elected student, teacher and staff representatives. Apart from being a body of enquiry and redressal for all grades of sexual harassment and assault, it was also a gender sensitization body which ensured complete confidentiality of complaints and created a safe environment free of intimidation, targeting and victimization. We write this article as former elected student representatives of GSCASH, JNU. Sonam was student representative from 2014-15 and Ruchira was student representative from April 2012 to August 2012. We remember the intricacies of GSCASH campaigns, how we had to fight to introduce discussions of menstrual justice, the right to freedom of partner irrespective of caste, religion and sexuality, and how so many people wanted to see us fail. We remember the stigma attached to GSCASH by many as a body “misused for revenge” simply because at GSCASH, we gave complainants the space to make their complaints heard. Our experiences taught us that patriarchy and its explicit forms are present in JNU as well like any other place in the country. We remember programmes where orientations were conducted at multiple levels and for all constituent members of the JNU community where we tried to initiate dialogue about gender and inter personal relations. There were also the so-called ‘high profile’ cases where we were often met with skepticism. Such skepticism had been overcome by regular hard work and constant interaction with the community at large. GSCASH as an institution has made us stronger in dealing with criticism and motivated us to keep working for the survivors of sexual harassment and assault as the aim of the institution was not just redressal but also to provide support to survivors in all campus spaces. That is GSCASH for us and many in JNU. GSCASH is not a static or stagnant body rather it is a vibrant institution which updates itself with time. GSCASH has changed its rules and procedures from time to time and it is in tune with the latest SHW Act 2013 and with the Saksham guidelines. However as of today, there are attempts to dissolve GSCASH and replace it with the ICC (Internal Complaints Committee). The latter is problematic at various levels: most members are nominated rather than elected, the hierarchy between members is enforced, the highest authorities of the university are given impunity, there are fewer members in the committee, and the importance of sensitization programmes is a mere mention. When one talks of elections vs nominations one recalls the debates surrounding the struggle to institute the GSCASH in 1999. The administration was pretending benevolence by instituting a nominated body but the JNU students and teachers rejected it. Elections ensure the accountability of the body to members of the university. Nominations, on the other hand, are mere expressions of the authority of the administration. The ICC is doubly problematic in that it prescribes the nomination of most of its members by the executive authority which in our case is the Vice Chancellor (VC). It is unlikely that in this situation, members of the ICC will stand for the interests of students, teachers and staff since they are responsible only to the VC. Moreover, provisions of the ICC constitute the very same VC as the ultimate decision-making authority which leaves no scope of appeal and grants the VC and his cronies a certain impunity, which defeats the purpose of a committee. Unlike GSCASH where each member irrespective of the hierarchy holds equal right to vote, ICC denies student representation in those cases to which students are not party. Since students are the most vocal segments of the university, it is no wonder that the Administration is attempting to reduce student participation. Moreover, the ICC bears no mention of the clause against the intimidation, targeting and victimization of complainants which is crucial to ensuring gender justice. Complaints of Sexual Harassment are extremely sensitive in nature and need the assurance that they will not be subjected to ‘victim-shaming’ or intimidation. The whole idea behind confidentiality is to shield the complainant from the patriarchal and unjust gaze of masculinity. The very language of communications by the JNU Administration establishing the ICC refers to complainants as “aggrieved women” whereas complainants are not necessarily women. Moreover, they also use the phrase “offended person”. Sexual harassment is not about imposing grief or offense but it a far more serious act of violence aimed at shutting out persons from their rights as equal citizens to public spaces, educational and employment opportunities. If the ICC is envisioned to make light of sexual harassment rather than actually address it, it seems clear that the JNU administration is seeking to institute a rubber stamp. However, at JNU, students continue to struggle to contest and reject the ICC. In a recent protest JNU students chose their student representatives for GSCASH. The farce that is the ICC tried to woo students to file nominations and acquire membership but precious few students agreed to participate. Instead JNU students courageously queued outside Teflas to cast their vote for their representative to the GSCASH. The patriarchs of JNU were red faced as even after notices and warnings to the candidates, to the Election Committee and students’ union, students came out in large numbers to protest and cast their vote for representative to GSCASH. The JNU student struggle is inspired by and a part of student struggles all over India -in BHU where women students continue to struggle for a GSCASH despite the lockdowns of their hostels, in DU where women students continue to fight to reject hostel curfews. GSCASH too holds this vision to see bodies like it in all campuses and where through active participation there is zero tolerance to sexual harassment. The day when women are not told to be careful, to be vigilant, to be strong, to be aware would be a beginning for all of us as a society to be free, to be careless, to be at ease, to be fearless. When women will come out at all times in the day and live fulfilling lives free of sexual harassment is the dream we all cherish as a community of fighters for gender justice and equality. We are in the middle of India's most important parliamentary elections in decades.